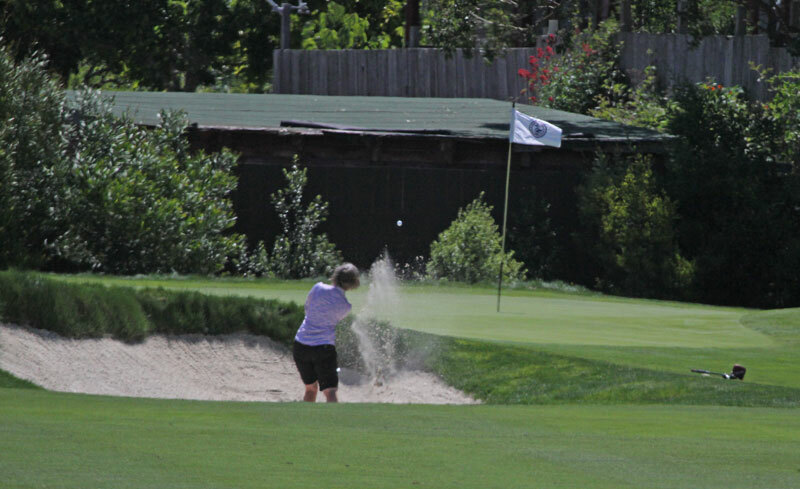 As she stood in the middle of the 18th fairway at Quail Lodge Resort using her rangefinder, Rocklin resident Lynne Cowan noticed that her hand was trembling. It wasn’t because the 55-year-old veteran was in a sudden-death playoff. It was due to low blood sugar. Cowan wasted little time in achieving her goal. 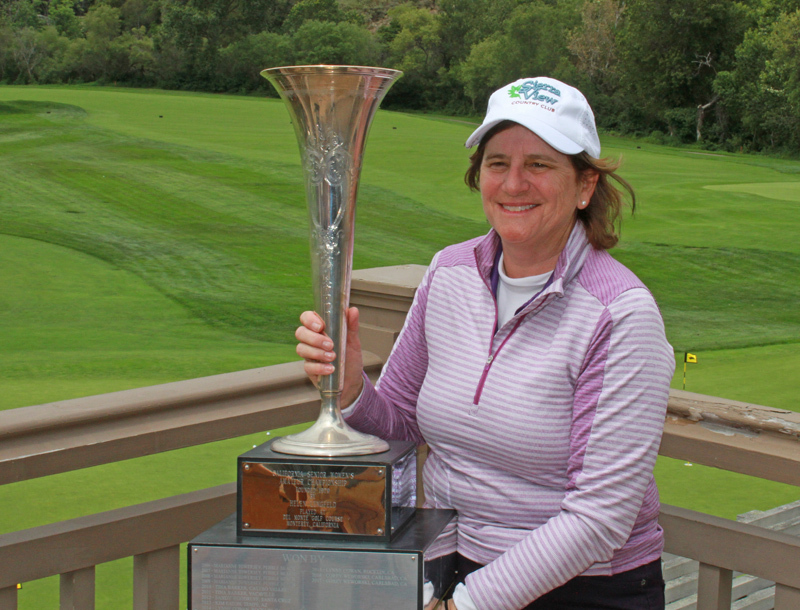 The Sierra View CC member knocked her approach on the finishing par-4 to within 12 feet of the flagstick and went on to make birdie, defeating Lara Tennant of Portland to win the 40th annual California Senior Women’s Amateur Championship. Both players had finished regulation tied at 5-over 149. Cowan would get a bit of help on the clinching putt. Tennant, who was putting first, was just a few feet behind Cowan’s ball–on basically the same line. For Cowan, now a three-time winner of the event (2014-2015), clutch play on the greens started on the par-3 5th. 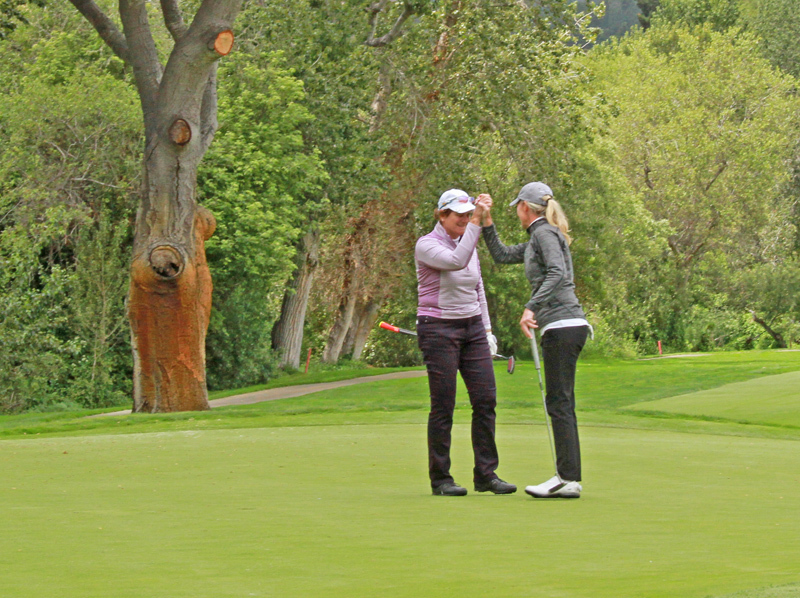 She’d hit her tee shot into the water hazard, but saved bogey by making a 6-footer. In further atoning for the misplayed wet shot, Cowan would make back-to-back birdies at No.6 and No.7. Not knowing where anyone else stood, Cowan eventually got to a total of 3-over with another birdie on the 14th. Back-to-back bogeys on the 16th and 17th, however, made it feel like she had no chance. As it turned out, two-time defending champion and first round leader Corey Weworski of Carlsbad slipped backward with a 78. Tennant also left the door ajar by posting a 74. Pasadena’s Kathy Kurata also shot higher in the second round, posting a 75. 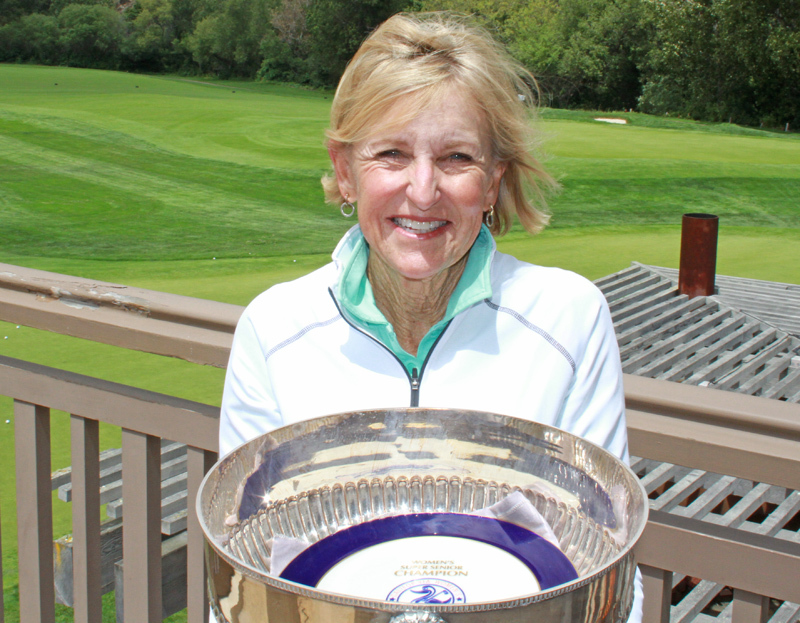 The Super Senior Championship title went to Pebble Beach resident Marianne Towersey with a 36-hole total of 157 (77-80). Carlsbad resident Corey Weworski is in a familiar spot at the annual California Senior Women’s Amateur Championship. Weworski, the events two-time defending champion, grabbed the lead Monday at par-72 Quail Lodge Resort with a first round 73. Winner of the 2004 U.S. Women’s Mid-Amateur, Weworski was the epitome of steady, carding 17 pars to go against just one bogey. The last player to win three Senior CWAC titles in a row was Marianne Towersey, who won six straight titles from 2004-2009. Three players–Lisa Smego of Arizona, Kathy Kurata of Pasadena and Portland’s Lara Tennant are all tied for second, just two behind the leader at 75. Sally Voss Krueger, a record 10-time winner of the San Francisco City Women’s Championship, is just three off the pace following a 76. Also lurking is two-time (2014-2015) winner Lynne Cowan, who opened with a 77. The final round will be held Tuesday at Quail Lodge Resort.